As summer approaches and vacation time is on the horizon, I typically start a list of books I’d like to tackle before the busy fall season. I certainly include my share of lighter fare, but I usually try to throw in a few reads that will exercise my mind, and, as an added bonus, help me grow in my career. If like me you’re looking for some picks for this summer, here are a few I’d suggest checking out. And stay tuned for more recommendations from YNPNers in June and July! You’ll want to buy this book brand new, as it comes with a unique log-in for an online assessment questionnaire designed to help you determine your strengths, as well as action steps for how to make the most of them. After you take the online questionnaire, you’ll receive a personalized Strengths Insights Report and Action-Planning Guide. A #1 Wall Street Journal and Businessweek bestseller, the book offers additional insights into your strengths, information about working with others with your strengths, and also ideas for action. 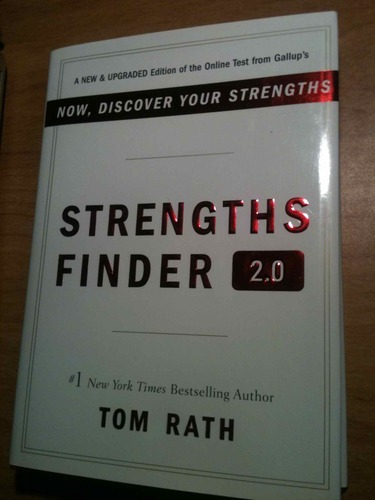 Rather than focusing on fixing your shortcomings, this book emphasizes developing your strengths as a way to find fulfillment in your career. It’s an eye-opening exercise and a rewarding read. This do-it-yourself map helps you navigate the nonprofit sector and offers tools that you need to move from entry level to leadership. 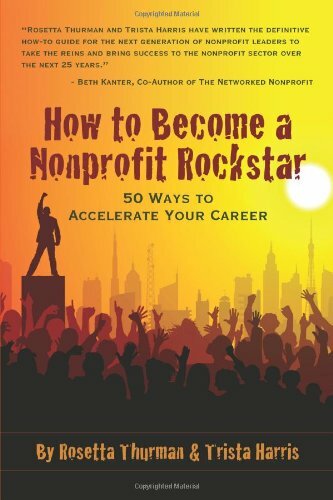 The book is based on the authors' experiences as well as interviews with “nonprofit rockstars” who have quickly accelerated their careers. Topics covered in the book are how to develop meaningful nonprofit experience, build a strong network, establish a strong personal brand, achieve work/life balance, and move up in your career. Author Rosetta Thurman actually visited Atlanta back in November for a free nonprofit career workshop at the Foundation Center. As the subtitle suggests, this book is about “How Little Things Can Make a Big Difference.” A nonfiction book that reads like a page-turner, this one is a recent favorite. 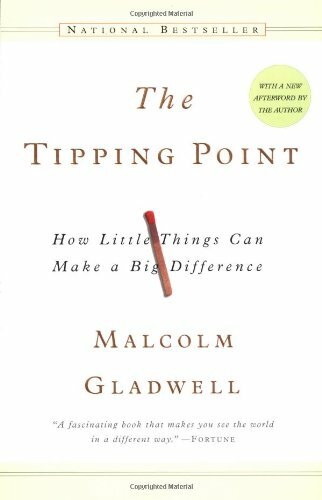 Gladwell focuses on how a seemingly small or insignificant idea, trend or behavior can trigger a social epidemic, worldwide fashion trend, or drop in crime rate. As I read this book, I often got inspiration for new ways to approach my own professional development as well as nonprofit marketing and fundraising. This memoir by NPR contributor and magazine editor A.J. 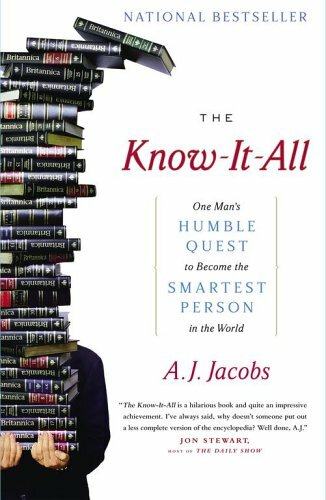 Jacobs tells the somewhat ridiculous and often hilarious story of the author’s quest to read the entire Encyclopedia Britannica. With chapters titled A to Z, the book is full of interesting facts and truly amusing tales of Jacobs’ determination to finish all 33,000 pages. I had a blast reading this book and even more fun impressing (or annoying) my friends with quirky bits of info I may never have known if I hadn’t picked it up. This month we’re featuring tools for creating online wish lists and interactive data visualizations. As always, our featured tools will cover a broad range of uses - from managing social media campaigns to collecting online donations. Many were not developed exclusively for nonprofits, but all will be selected based on their usefulness, ease of use, and cost (most, if not all will have a free version). Overview: GiFTgive lets organizations make custom online wish lists (through Amazon.com) which can then be shared with donors. Unlike a traditional gift registry, the feature-rich platform allows organizations to customize the look and feel of the wish list page as well as the donor thank you message. The platform also lets donors make partial donations towards more expensive items. The obvious benefits for donors are the opportunities to make non-cash contributions and to see the direct impact of contributions. For nonprofits, using GiFTgive can be an easy way to solicit contributions for goods/equipment that may not be a budget priority or that are not costly enough to require a dedicated fundraising campaign. Overview: Tableau Public is a free application for creating interactive data visualizations that can be shared and embedded online. Unlike many data visualization tools, it requires no programming or graphic design skills. Users can import data from Excel/Access and then use a simple drag and drop process to create and customize interactive charts. Charts (or groups of charts in a dashboard format) can be shared online and embedded in webpages. Tableau Public is a particularly powerful tool for nonprofits given its ease of use and ability to visually communicate complex data sets. Not only can a nonprofits leverage data collected from its services/programs, but it can also take advantage of publicly available data sets (examples using government/public data). A recent study by CompassPoint looked at the state of fundraising and fundraising professionals. The study, “UnderDeveloped: A National Study of Challenges Facing Nonprofit Fundraising,” found that about half of chief fundraisers are considering leaving the profession completely. Organizations are also seeing open fundraising positions remain unfilled for months. According to Marla Cornelius, a senior project director at CompassPoint Nonprofit Services and co-author of the study, the results of the study go beyond staffing issues to the heart of culture. All three panelists agreed that the study struck a chord and was completely on point with its key findings. One major challenge the panelists added that they are seeing is a shift in fundraising staffs having the primary or sole responsibility for raising money instead of the Board of Directors. A major reason for this is that a proliferation of nonprofit organizations has diluted the effectiveness of Board members. Too many of the same people are being asked to serve on 3, 4, 5 or 6 boards, which dilute their fundraising abilities and opportunities. GSU's Jon Clark speaks with YNPN members during a breakout at the Fundraising Roundtable event. After hearing from the panelists about the study and the current state of fundraising, we broke into three discussion groups. The event participants had the opportunity to discuss the CompassPoint study in depth with one of our experts, as well as ask relevant questions about beginning and growing a career in fundraising. To read the Chronicle of Philanthropy article highlighting the key points of the CompassPoint study, click here. Happy National Volunteer Week YNPNer’s! April 21-27th is a time to recognize and celebrate the work that is done through service, and as we all know, volunteers are essential at helping to carry out the mission of any nonprofit organization. From serving at your nonprofit’s annual fundraiser to providing day-to-day support, volunteers are a great group of individuals who are passionate about the work of our organizations and want to donate their time to support. According to the Independent Sector, the estimated value of volunteer time in Georgia is $20.77/hr. That’s an incredible amount of worth that these individuals are providing for organizations that are operating as cost efficiently as possible. - Handwritten Thank You Cards – With the noise of email and social media, some volunteers, especially ones of older generations, would prefer more personal and individual forms of gratitude. Handwritten cards, notes, and letters can show your volunteers that you took the time out to craft the message to them. - Make a video or photo slideshow – Along with writing a note, if you have long term volunteers or ones that help at major events or fundraisers, consider creating a video or photo slideshow that highlights not only the event, but those that were on the ground helping to make it all run smoothly. Make some copies for your volunteers to take home so that they can look back fondly on their service experience and pass it along to others, which can help your organization retain and recruit new individuals for future events. - Write a Recommendation – For skills-based or long term volunteers, writing a recommendation, either as a letter or on LinkedIn, that emphasizes the quality of the individual’s work would be a great way to recognize their service. This would also be a good vehicle to highlight the details of the projects the individual worked on and how it contributed to the goals of your nonprofit organization. - Highlight them on social media – A public (and free!) way to recognize your volunteers would be on social media. You can send a tweet using #NVW, post pictures, or make a video that shows you and your organization’s gratitude to the service these members have contributed. When you tag them on a status, tweet, or other media, their networks will be able to see the post and also recognize the volunteer for the great work they did, while learning more about your organization at the same time! - Treat them out – The next time your volunteers come to serve, offer to take them out for lunch or coffee. This will be a nice surprise for your volunteers, and it’ll be a great way for you to get to know them on a more personal level. You can learn more about what they’re looking to get out of serving at your organization and how their service fits into other parts of their lives. Visit VolunteerSpot for other ways that you can say thanks to volunteers during National Volunteer Week. What are some ways your organization has recognized volunteers? Share with us in the comments below! Knowing and thinking about leadership succession is important, even for emerging professionals. Leadership change is something we will all face in our careers, if we haven’t already. With that in mind, I was happy to attend an event on April 16th about these challenges. The Georgia Center for Nonprofits (GCN) hosts an "Expert Series," which are events open only to employees of GCN member organizations. 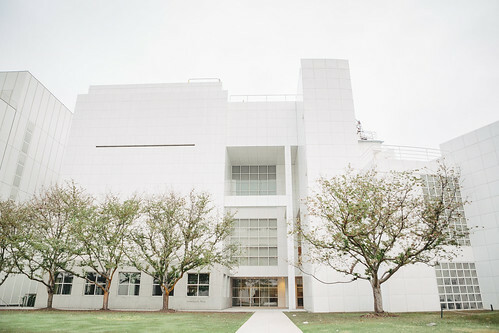 This one was called Planning for Leadership Succession: Success Strategies and Live Case Studies and was held in the Hill Auditorium at the High Museum of Art. The event began with networking and a continental breakfast. At 8 a m , it was a bit early, but most people appeared bright-eyed and ready for learning. After welcoming remarks from GCN, Lita Pardi, a Senior Program Officer at the Community Foundation of Greater Atlanta, spoke briefly about the importance of planning for transition, equating a succession plan for an organization to a will for an individual: in both cases, it’s important to make plans before the event takes place. In spite of this, as we learned later that morning, a study by the Community Foundation of Greater Atlanta showed that 73% of Greater Atlanta nonprofits have no written succession plan. (Yikes!) You can find out more of the study’s findings in this article on the GCN website. Mary Bear Hughes presenting some of the steps to create an emergency succession plan. One point she emphasized was that succession plans do not need to define who the permanent replacement is for a leader. I particularly liked that Ms. Hughes spoke about staff development for all employees as a part of succession planning. I hadn’t thought of staff development in the context of leadership transition, but it makes a lot of sense! Another great takeaway from Ms. Hughes’s talk, was the mention that the Texas Commission on the Arts has great sample plans for leadership planning and transition. I found their site later and looked at some of their extensive tools, which include sample emergency and regular succession plans, exit interview questions, and much more! It really is a wonderful resource. Each panelist first spoke about their role in the succession processes at their organizations. In particular, Arturo Jacobus spoke warmly about the smooth transition he experienced at the Atlanta Ballet. Virginia Hepner was Interim Executive Director prior to his arrival, and she and the Ballet’s Board of Directors worked hard to prepare him in advance of his arrival. Next, they set up a series of meetings with community leaders and donors for right after he began his new position, which he says helped him immensely to get on the “fast track” of the learning curve to understand the community and the organization. In addition to serving as Interim Executive Director of the Atlanta Ballet, Virginia Hepner has also served as Interim Director at Young Audiences of Atlanta and recently transitioned into the role of CEO at the Woodruff Arts Center, so she knows quite a bit about succession and transition! She spoke about when hiring an Interim Director may be appropriate, which is generally in cases of an unexpected/quick departure. After further edifying discussion from the panelists, an audience member asked a question I found particularly intriguing: what about Board changes after a leadership transition? Sometimes different leaders need different kinds of board members, especially if the outgoing Director is the organization’s founder. Arturo spoke about coming into new positions and finding Boards who were very comfortable and long-serving, which is not always desirable. So he recognized the truth of the audience member’s concerns, but he stressed the need for a long-term, planned process of Board turnover in order to steer it in a new direction. This is the second event in the Expert Series I have attended, and both have been exceptional. If your organization is a member of the GCN (you can check in their online member directory), I recommend attending events in this series – they are free for members. GCN also has individual and student memberships. As ambitious, emerging nonprofit professionals, many of us hold down multiple jobs, go to school part-time, work long hours, and/or volunteer regularly with several organizations. Add to this the desire to have some kind of life outside of work, perhaps even a budding family, and it is difficult to find the time to read all the latest news about our sector and the nonprofit industry in general. It’s easy to focus solely on one’s own organization and local issues, but we need to recognize that it’s critically important not to lose sight of the larger sector in which you work (health, arts, education, homelessness prevention, etc), in addition to the nonprofit sector as a whole. This is particularly true for YNPN members, since we are at a relatively early state in our careers – it’s very possible we may move to a new area of the country, or find a job opportunity in an unexpected new field. Keeping up with the latest research, thought leaders, conferences, political and policy issues, and the general state of our sector will best prepare you for whatever may come. The question then becomes: how does one do this without spending hours upon hours reading every day? That is time we don’t have! Overall, it’s about discovering the right curators. You can’t read everything, so you have to seek out organizations/people/automated systems that sort through the sea of content available and deliver only the best and most useful items to you. I have a few tips, and I would love to hear your own ideas in the comments. Twitter has become my favorite and most reliable place to discover new and interesting tidbits that I find relevant to my life and career. Personally, I choose who I follow very carefully and judiciously, but not everyone shares that habit! Regardless of whether you follow 200 or 2000 people, I recommend creating a Twitter List that includes only those accounts you find interesting professionally. Every couple of days, scroll through that list and see what they have to say. These accounts can include bloggers, professionals, other nonprofits in your field, national nonprofit news sources…but only include those who regularly tweet interesting, relevant content. 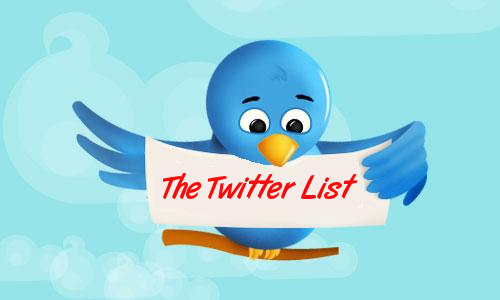 Check out this info, from Twitter, on how to use their lists feature, and you can find one person’s take on how best to create and manage lists right here. Full disclosure: I have worked and volunteered for advocacy groups for the past 5 years. But they keep their ears to the ground for policy issues and political changes that will potentially affect your organizations, both positively and negatively. Be on their email list and follow them on social media – they will keep you abreast of what you need to know in the political realm. Seek out national organizations as well as state and regional ones. A person can only belong to so many professional associations, and one must choose carefully…but that is a subject for another blog post! You can often get news from professional associations whether you are a paid member or not. Their newsletters will include news articles, opportunities, and developments in the field. Here in Georgia, if you are not signed up for the Georgia Center for Nonprofits email list, get on it today! I also recommend Coxe Curry’s weekly email with news relevant to all nonprofits in the Atlanta area. You can subscribe here. RSS Searches: Keeping tabs on specific organizations (especially the one you work for) or keyword searches can be done using RSS feeds from specific sources (such as The New York Times or The Chronicle of Philanthropy) or Google News alerts tailored to your interests. Finding a system that will allow you to easily bookmark articles/blogs/websites to read or skim later on is key. When you run into things via emails or social media or whatnot, you need a way of saving the good ones for later. PC World just posted a great article on the pros and cons of three systems: OneNote, Evernote, and Google Keep. In all of these categories, think a little outside the box when searching for sources and curators. Although I have never worked for a museum, I find the American Alliance of Museum’s (AAM) advocacy email list to be invaluable as a source of clear, reliable information on arts policy and news. Please share your own tips, tricks, and recommended curators in the comments! This is an issue we’ll all face throughout our careers. Coming up right now with a system that works for you will help you for many years to come! This month we’re featuring tools for developing Facebook pages and performance tracking. As always, our featured tools will cover a broad range of uses - from managing social media campaigns to collecting online donations. Many were not developed exclusively for nonprofits, but all are selected based on their usefulness, ease of use and cost (most, if not all, will have a free version...). Overview: ShortStack is a tool for creating custom Facebook apps on fan pages. The tool makes the design/development process significantly easier using templates and widgets, many of which integrate directly with a wide variety of other web services (e.g., YouTube, Twitter, MailChimp, FourSquare). Many nonprofits are using Facebook pages as their primary website because of the ease of updating/managing, as well as the high traffic levels. ShortStack lets nonprofits take full advantage of this web presence to engage fans, advocates, volunteers and donors. While most of the service is fairly intuitive, it will likely still require some development experience to create/customize each Facebook application. Even if your organization lacks these skills, it is still good to know of this tool as projects can be easily sourced to any web developer. ShortStack also has a tremendous amount of support resources, including videos that will walk you through every step (e.g., Create a Refer-A-Friend app). The best way to understand the potential of this tool is to check out the Example page and/or simply sign up for a free account to get first-hand experience using it. Cost: Basic plan (allowing up to 2,000 Facebook fans) is free, and advanced plans begin at $30 per month. Overview: IRUNURUN is a performance tracking app (web and iPhone) designed to help individuals/organizations achieve their goals through simple effective actions. It’s a VERY cool tool with MANY applications, including several very interesting uses in the nonprofit sector. It is essential that an organization’s goals or mission be broken down into simple actions that an individual can do. The IRUNURUN app lets users define these weekly actions, assign weights and frequencies, and then easily update his or her progress along the way. Individuals can then track their weekly score (out of 100 points) on a simple dashboard as well as follow the progress of other individuals. When an organization asks for support, they want people to do something very specific. That action might be to call a politician, e-mail friends or family, eat one more serving of vegetables every day, or share an announcement on Facebook. Organizations must equip supporters with tools (like IRUNURUN) to empower them to actually make a difference. Cost: Basic (though fairly robust) plan is free, and advanced plans start at $4.99 per month. Spring has sprung and while the recent snow flurries are showing otherwise, the seasons are changing in Atlanta. With it comes “spring cleaning,” which is the perfect time to spruce up where you live and really get back to being organized. Why not do the same with your professional development? We all get busy working within our organizations and departments during the week and can lose sight of continuing to build on our personal growth. Elevator Pitch – With the upcoming YNPN Atlanta Speed Networking event on April 16th, it’ll be a good time to brush up on your elevator pitch. You’ll want to be able to convey who you are, what you do, and why it’s important in about 30 seconds. Be concise and get to the point of your work. The same applies when you’re first introducing your nonprofit and the work that it does. You’ll want to have an elevator speech that will be direct and help start those connections with potential partners and donors. Professional Goals – Time to start spring cleaning your 2013 goals and resolutions. Check to see if you’re still on track with meeting your goals, if they need to be modified, or if you have new goals you’d like to accomplish in the next months. Set benchmarks for yourself to see what you’ll need to get where you want to be. These free goal organizer posters from The Nectar Collective are also helpful for you to visually see yourself meeting your goals (just like when you’re growing up!). Business Cards – Remember that big stack of cards you collected at the last YNPN networking event? Have you followed up with those contacts that you made? No? Well, going forward, try to make it a habit of replying back to your contacts within 48 hrs of meeting. The info on their business cards is essential, and you don’t want to miss out on making a connection because you forgot! Resume – Updating your resume can be difficult and tedious when you’re doing it on the job hunt. Why not keep it up to date with your most recent accomplishments as you make them? This will help you remember the key projects you worked on and the successes that you gained throughout your career. LinkedIn Profile – Similar to your resume, have you updated your LinkedIn profile with your most recent and relevant accomplishments? Have you written a recommendation for a colleague? If not, you could be missing out on making some valuable connections. YNPN Atlanta is active on LinkedIn as it is the largest social network devoted to professionals, and recruiters are always looking through profiles for new recruits. Also, it is a great place to seek potential donors and partners for your organization. What other items in your career could use some spring cleaning? Share with us in the comments section. No matter what time of year you have your annual performance review, it’s never too early to start preparing. Being properly prepared will help ensure that you have a successful, productive meeting with your supervisor that will help you thrive in your current position and develop as a professional. Follow these tips to make the most of your next review meeting! Review your job description and make note of any discrepancies: Read through your job description with a critical eye. Does it properly describe your role within the organization? Make note of any duties you’ve taken on or any projects for which you’ve gone above and beyond your assigned role. Be sure to discuss these with your supervisor as examples of why you are deserving of either more responsibility, a raise, or even a promotion. This is also a good time to look for areas for growth. If there are particular aspects of your job that you really enjoy or in which you would like to take on extra responsibility, you should bring them up during the conversation to help ensure job satisfaction. Resume Critique Follow-up - Why Should I Hire You? According to the UI Center for Non-profits, the non-profit sector has grown steadily over the past decade in both size and financial impact, surpassing the rate of both private business and government sectors. There is a need for development directors, volunteer managers, program coordinators, executive directors and innovative leaders to successfully sustain this growing and impactful sector. With an influx of “professional do-gooders” entering the job market, where do you fit in? Or rather how will you stand out? Two words: your professional biography, or, simply put, your resume. On Feb. 19 we held a panel discussion with non-profit sector hiring professionals—Dr. Maggie Tolan, Cyndee Dubrof and Eloise Luke— who brought perspectives from the various worlds of academia, HR management and executive level hiring. The discussion helped to shed light on questions most entry-level, sector-switchers and experienced professionals share when applying for their dream jobs. Below are a few things to keep in mind when preparing your resume. Also, be sure to join us on Wednesday, March 6 for our Perfect Your Elevator Pitch event. With a revamped resume and a perfectly polished elevator pitch, you'll be doubly prepared for your next job search. 1. Be Honest: The panelists couldn’t express this enough. Most people assume that a lengthy and verbose resume appeals to most hiring managers, but it does not. Take the time to detail the successes you have had, however small they may be, and make sure they accurately portray your skill set. 2. Kill the buzz words unless you can back it up: Don’t just state that you are a “team player.” Demonstrate it by showing the results in your work history. 3. K.I.S.S. (Keep it simple and straightforward): There’s no need to list every job and/or volunteer position you have had. List the most relevant experiences you’ve had that date no more than five years ago. This is especially true if you’ve held positions were you served as a leader, but even if you had positions where you played a supportive role, don’t forget to emphasize your accomplishments. 4. The professional summary helps; the archaic objective statement does not: Research the organization before you write your summary. In this short paragraph explain how your skill set, character and/or experience will add to their organizational goals. 5. Do your research: Ask yourself: Does your skill set match the job description? If not, what other areas have you had successful experiences in? Once you have these answers, highlight those accomplishments. 6. Cross-check, revise and tailor: Have family and friends review your resume for any errors or inconsistencies. Develop more than one resume, and tailor your resume to the organization to which you are applying. 7. Don’t forget the cover letter: The cover letter and resume go hand in hand. Recent graduate or budding professional ready to enter the job market?